The 31-year-old actress gets candid about her struggle with body image in the past. 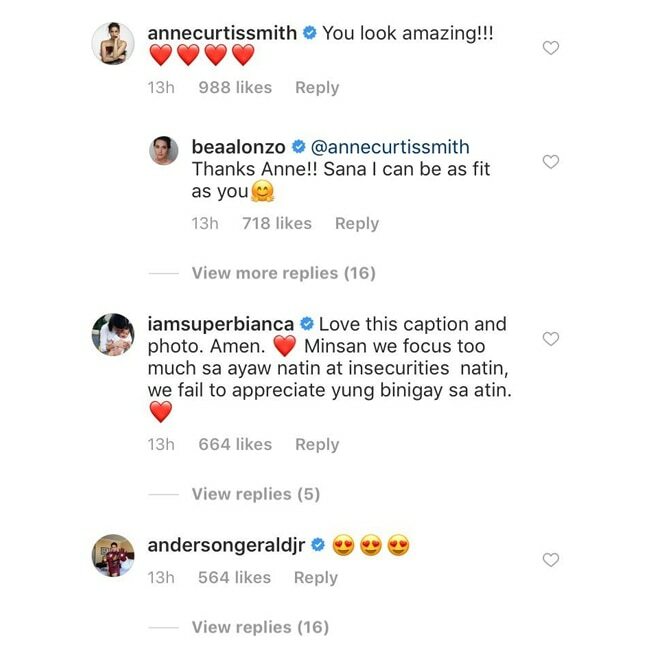 Summer is just around the corner with Bea Alonzo and her ‘barkada’ recently flying to Coron, Palawan for a well-deserved vacation. The actress was generous with photos on Instagram since the group reached the island on Sunday. What stood out, however, was Bea having flaunted her toned figure in a rare bikini photo, through which the 31-year-old star opened up about her struggle with body image in the past. “I have always been the type who would choose not to post photos of myself in swimsuits but since I declared this year as the year for CHANGE, I thought that maybe I should change the way I view myself. Maybe, I should get rid of all my insecurities so I can live more,” she said. “I want to forget about how I hated myself for being ‘fat’ in other people’s eyes and just remember the things that I love about my body. It’s the only body that I am blessed with and I am thankful for my health because I get to do the things that make me happy,” she added. Bea said that she hopes to inspire other women to learn how to embrace their flaws just like she does. “Let’s all work hard to better ourselves for us and not just so others could accept us,” she said. 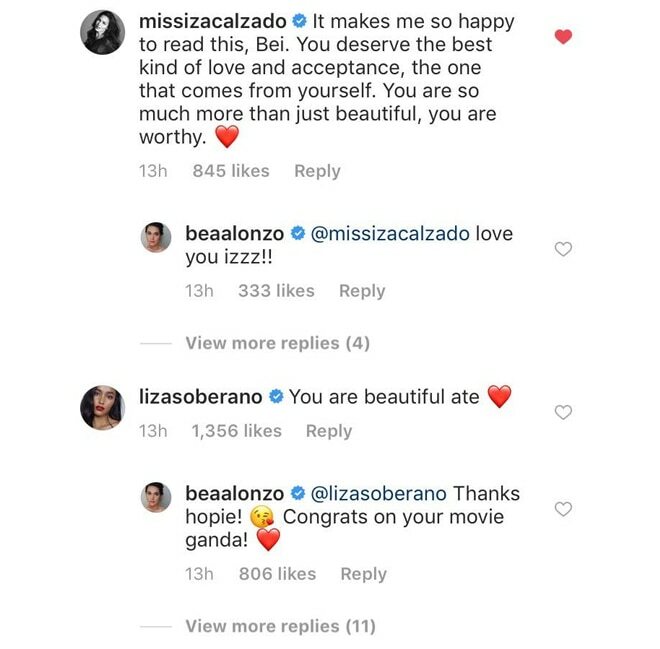 Not only her fans, but many of her fellows from showbiz cheered for Bea, too – including, of course, her doting beau Gerald Anderson, who wasn’t shy to show his admiration for his special lady in the comments section.